You might wonder how to incorporate prosciutto ham in your recipes efficiently. Perhaps you have never actually cooked with prosciutto, only tasted dishes in Italian restaurants and wondered how you can replicate this unique taste at home. 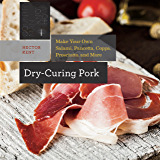 This Prosciutto Cookbook is presenting you over 20 recipes using this salty ham called prosciutto, served in many different ways. You will for sure find your favorites among them. Eventually you will learn create your own delectable meals, appetizers, sandwiches, desserts with one ingredient in common: prosciutto. 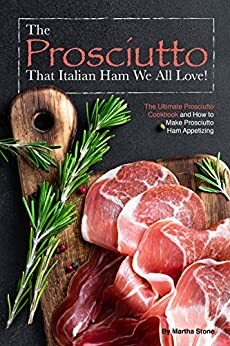 How to make prosciutto ham recipes will become a second nature for everyone consulting this cookbook. Let’s introduce you next to the meat itself, its origin, its many uses in many cuisines and anything and everything you would want to know about prosciutto. If you want to also know more about this salt ham, never be afraid to ask your butcher to tell you all about it. They love sharing their knowledge and might even suggest ordering their next piece of prosciutto from another part of Europe, so you can explore different kind and explore the subtle differences. And let this adventure begin! Outclass Cooking Style: Try The 30 Norwegian Recipes in Your Kitchen Every Day to Have Exciting Meals!